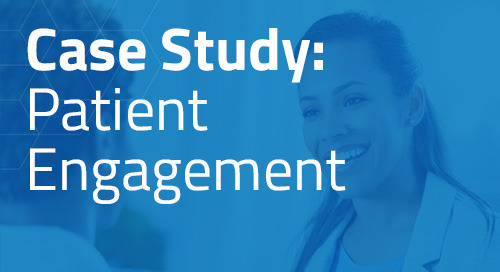 Recruit and enroll patients for a prospective medical device designed to treat obesity. 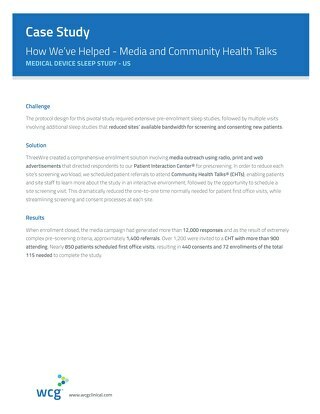 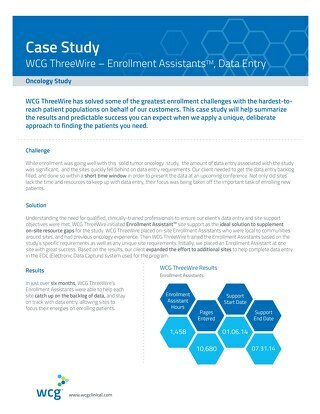 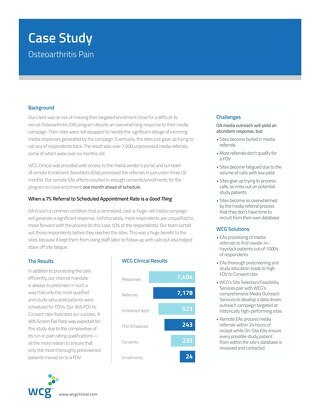 The sponsor (a previous ThreeWire customer) had to complete enrollment in less than six months to meet the enrollment goal of randomized 230 patients across only 10 sites, with a protocol containing very restrictive I/E criteria. 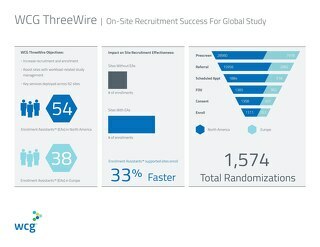 ThreeWire’s efforts resulted in 175 implant procedures, or 76% of the total enrollment goal. 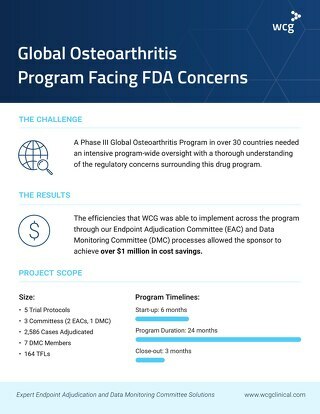 Our collaboration with the sponsor and sites resulted in the in the final implant being completed within the sixmonth goal that the sponsor had originally set.